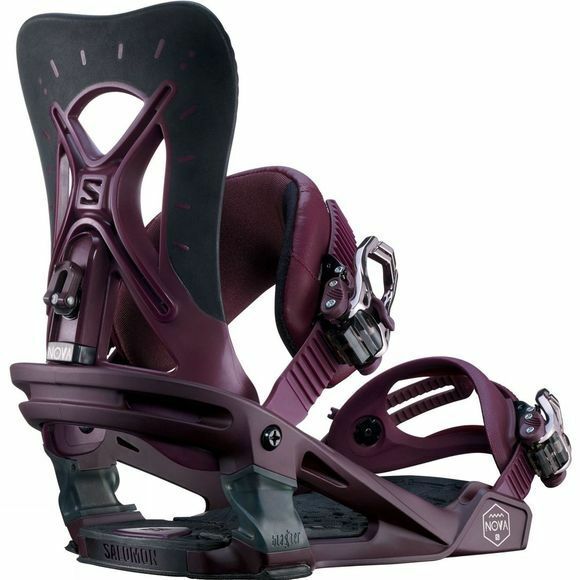 Designed specifically for women, the Nova binding features Blaster Tech with a feminine take on the Joint—A luxurious and dynamic suspension system for the smoothest ride possible. The 4D Highback offers precise response and control, while the ultra-comfy ankle and toe straps keep feet happy from first chair to après ski. 3D Asym Supreme Ankle Strap: All day comfort with no compromise in performance. Air Bed: Air bags in the heel area work alongside dual density EVA to provide our best dampening system.